Ancient trees affected by cosmic rays are the subject of The “Diamond Nights” project by San Francisco-based photographer Beth Moon. Moon has spent the last 14 years photographing the world’s oldest trees in daylight, but this series captures them at night. 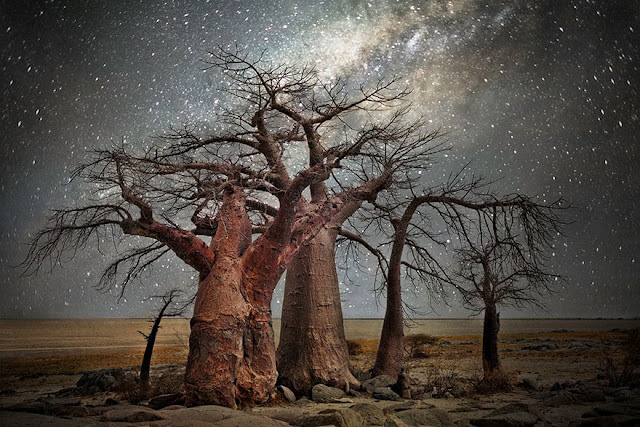 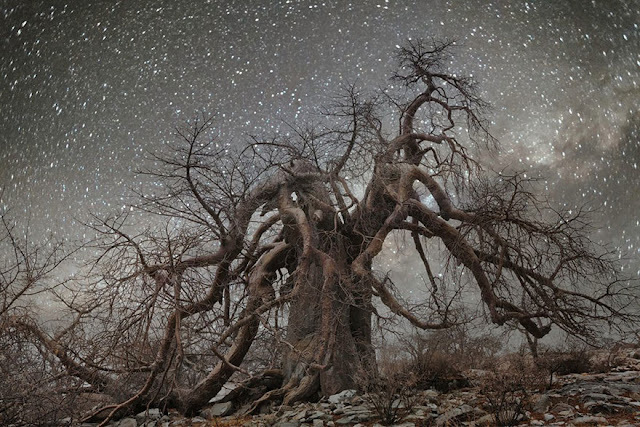 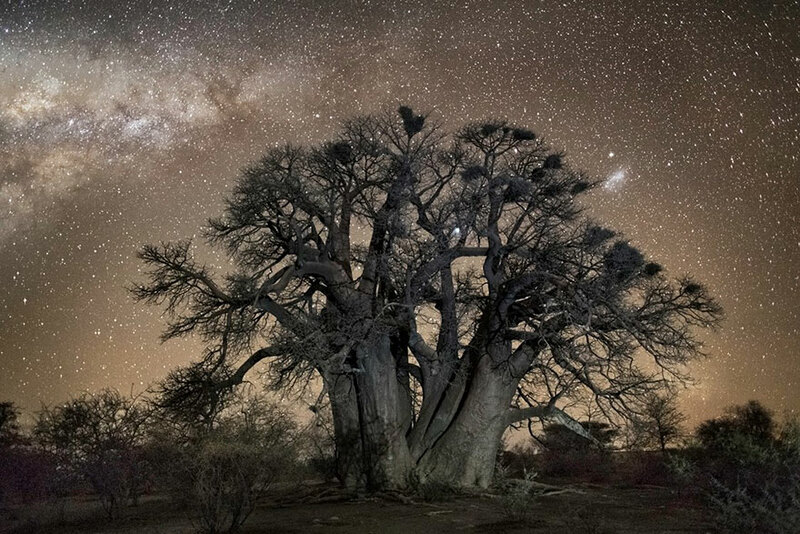 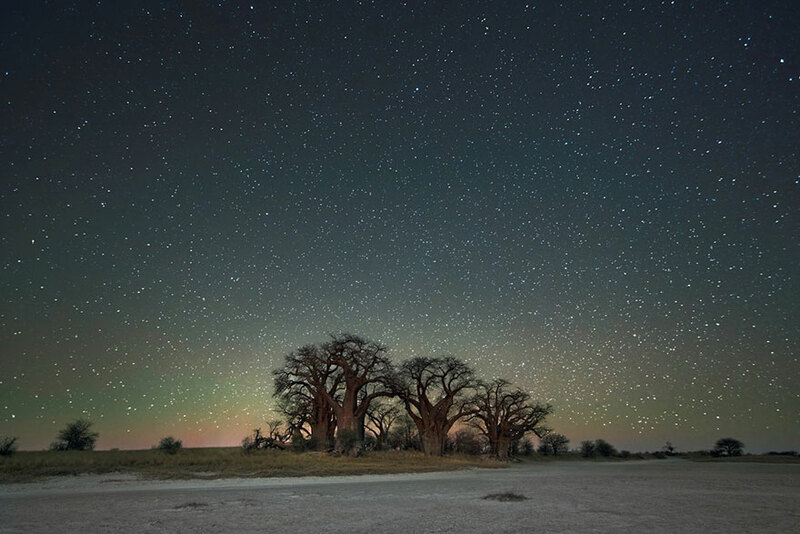 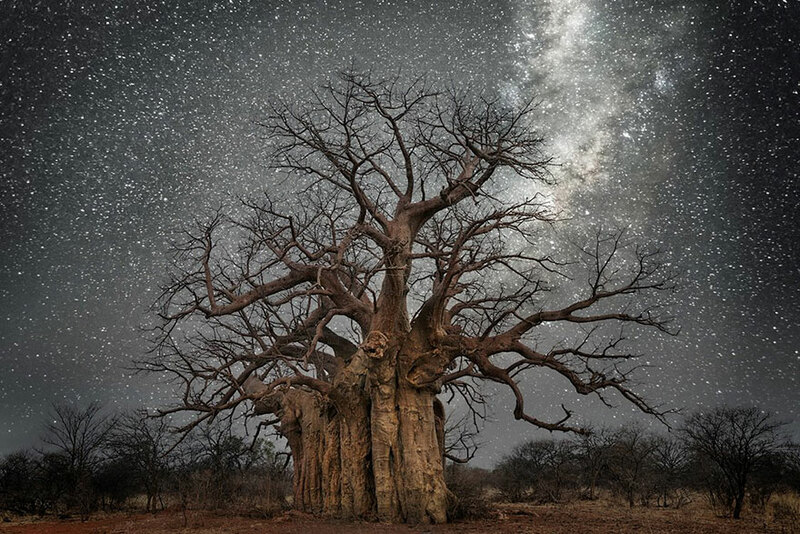 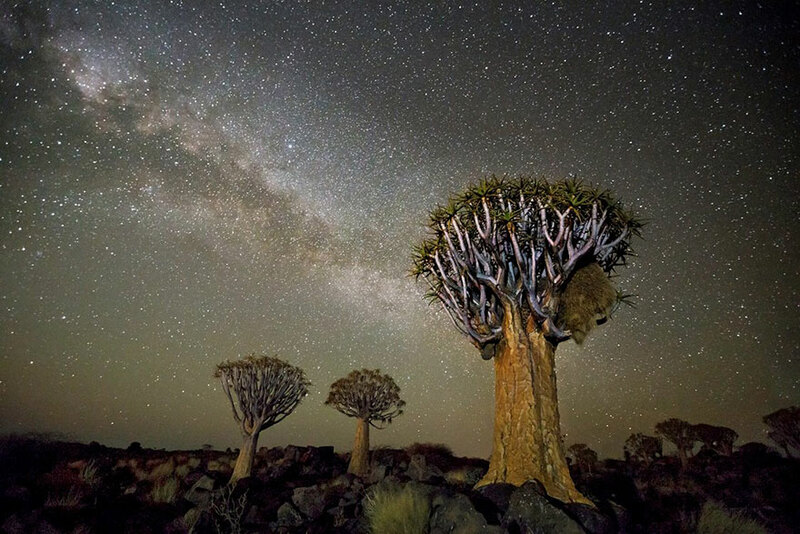 Her photos feature primarily baobab and quiver trees in South Africa, Botswana, and Namibia. 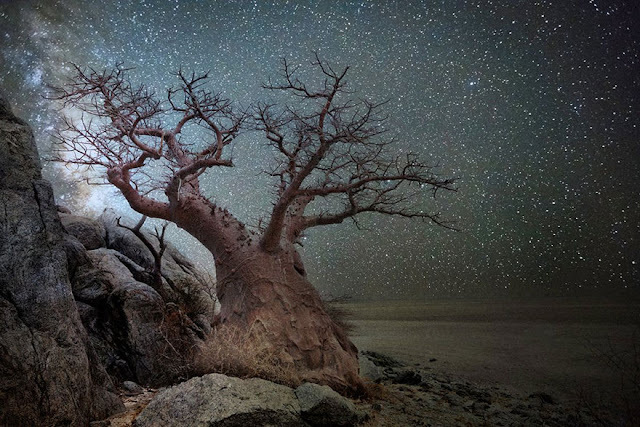 “Our relationship to the wild has always played an important role in my work. 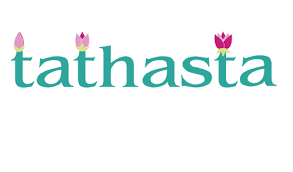 This series was inspired by two fascinating, scientific studies that connect tree growth with celestial movement and astral cycles,” explains Moon on her website. 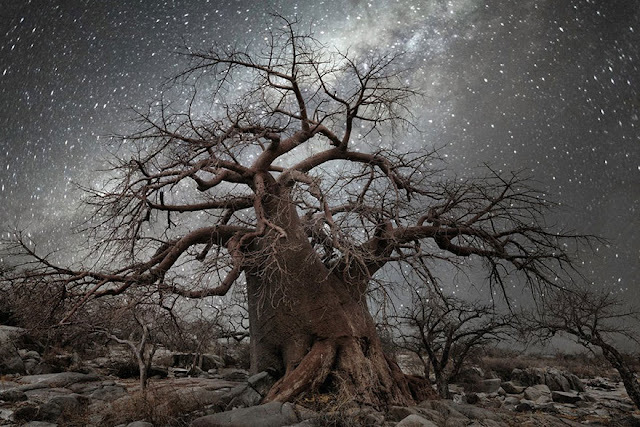 The first study concluded that cosmic radiation impacts tree growth even more than annual temperature or rainfall; the second found that tree buds change size and shape directly correlating to the moon and planets. A guide lead Moon to each location during the day. 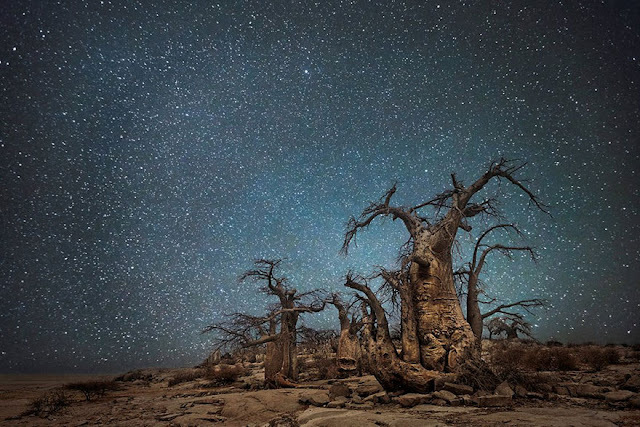 She returned to the marked spot at night, and took photos with 30 second exposure times to avoid capturing star movement. 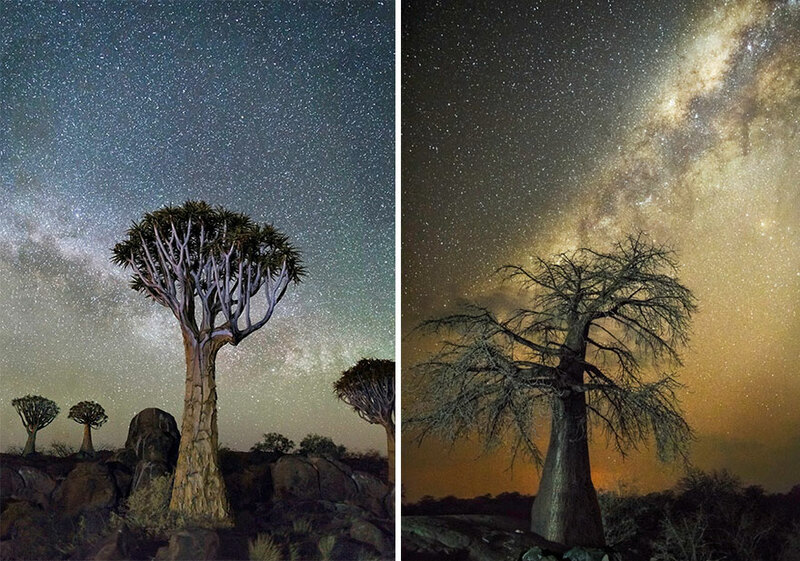 Each photo is named after the constellations in the background.